It is nearly time. The flight plan, Adelaide to Singapore then from Singapore to Ho Chi Minh City (or the city formerly known as Saigon). Although I am not entirely sure what to expect from this trip, four weeks of holiday is a nice way to finish what has been a challenging year, filled with mixed emotions. After a few dramas at Adelaide airport, we find ourselves in a Singapore hotel, where we will stay till tomorrow evening before catching a flight to Ho Chi Minh City . At the airport checkout the airport staff insisted that there will be no problems with film being scanned by X-rays, provided that the film is below ISO 1000. I could understand their reservations with a manual search of about a hundred rolls of film, however there was no other way. I have been warned by other photographers that when traveling, always take it aboard as hand luggage and always ask for a manual search. The dangers of "film fog" becomes apparent especially post exposure, however I was not going to take any chances. My first impressions of Singapore , very clean, modern, much like Sydney in that metro way. With only one night in Singapore , I could only get to know Singapore superficially, a problem with traveling under tight schedule. A night shot of a Singapore street (handheld at iso 400). In Australia, we have "concept" restaurants which market Asian food to true-blue Aussies, namely Red Rock Cafe, Noodelicious and Wok in a Box. Here in Singapore, they have the "Outback Steakhouse" with dishes ranging from "Aussie Cheese Fries", the "Bloomin Onion" and off course every Aussies' favorite "Kookaburra Wings". I had just had the most amazing experience of my life, traveling through the busy streets of Ho Chi Minh City at night. We arrived at Ho Chi Minh City at 6.45 in the evening, at the time the locals were pre-occupied with Vietnam's achievements at the soccer in the SEA Games (we had just scored two goals in succession!). A mini bus, organised by my auntie escorted our family to the country town of Long Xuyen, 5 hours drive from Ho Chi Minh City. Traffic was best described as orderly chaos (don't know if that makes sense???). At first there appeared to be no rules, everyone for themselves so to speak. However, the more time we spent in traffic, the rules gradually became clearer. Scooters, by far the most popular means of transportation, dodged and weaved as they pleased. There were no give-way signs however smaller vehicles gave way to larger vehicles. Traffic moved forwards in the right lane, however not always. We had so many near misses, yet the driver barely flinched! How often do you see mothers riding scooters with their infants?? It was quite an experience. 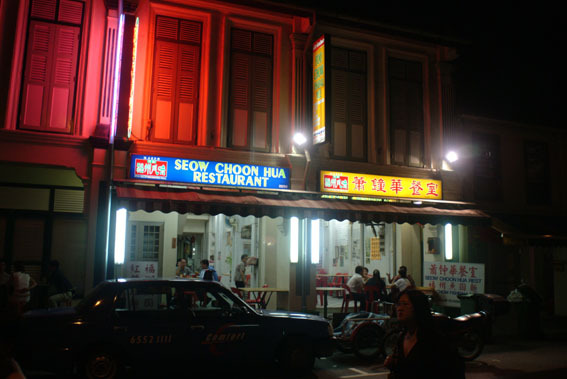 Singapore was not much different to Australia, however Ho Chi Minh City was a totally different story. Although spending only a few hours in traffic, the sights and sounds astounded me. Spending 21 years in Australia prepared me for total amazement at all the things that I sore. Early start, 5am. Traveled southward towards Ha Tien. Ha Tien is a small coastal city which lies next to the Vietnam-Cambodian border. Ha Tien was established by Chinese travelers many years ago. Cultural landmarks and cemeteries reminds us of the many years of conflict between the two bordering countries, particularly during the Pol Pot regime. 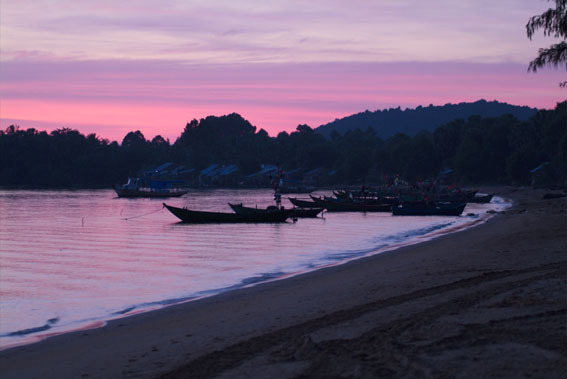 Ha Tien is perhaps South Vietnam's most picturesque location. After sunset of "Hon Trem" in Ha Tien. 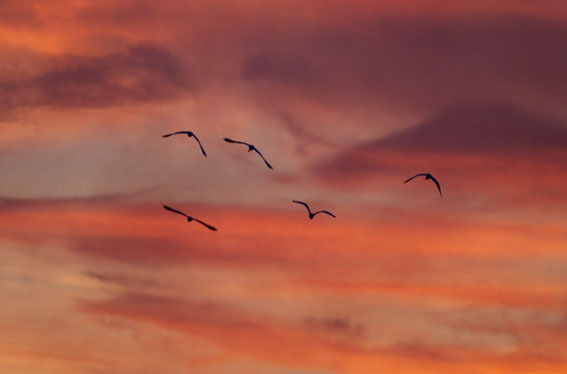 Dramatic skies and an afterglow provided enough light in the atmosphere for an image to be taken. Lazy day in Ha Tien. Spent some time in the local markets. Fruits are plenty. Seafood always great. Stunning beaches. Spectacular sunrise and sunset. 3:30am morning call and headed for the most southern city of Vietnam, Ca Mau. 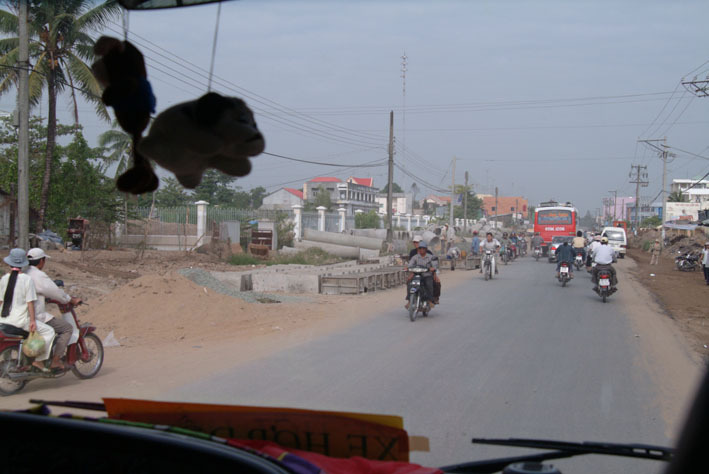 350 kms away, we expected to arrive at the city before noon, leaving us time to return to Long Xuyen to rest. However, we underestimated the slowness of Vietnam's motorways. In Australia, 350kms could be covered in under four hours, however here in Vietnam, it wasn't until 4 in the evening before reaching our destination. 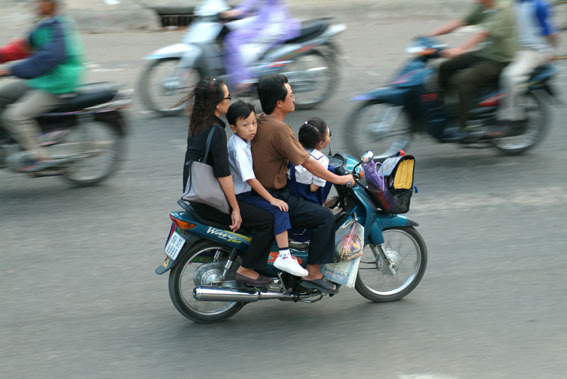 Traveling at an erratic speed, the maximum safe speed of travel being only 50kms per hour. Traffic was busy and hazardous, as evidence we passed by the scene of a motorcycle-car-shop accident. 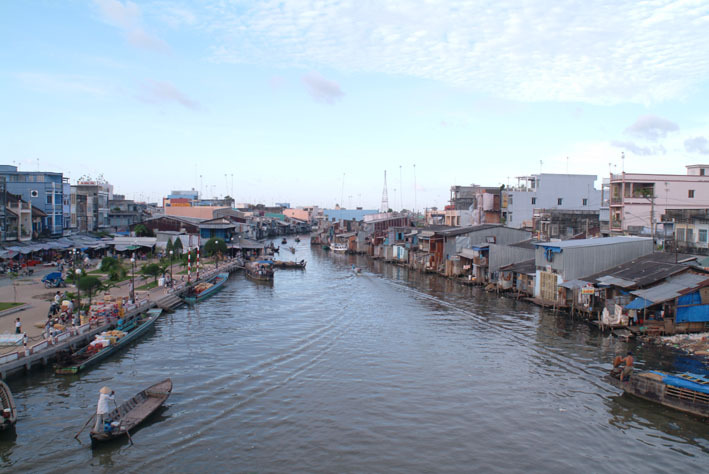 The city of Ca Mau, a city which heavily relies on its sea port and waterways was busy and hectic. Wandering the streets of Ca Mau, we were easily spotted as being Viet Kieu (Vietnamese who have relocated internationally) drawing plenty of stares. As Viet Kieu we are generally taller (since arriving in Vietnam I have yet to meet another Vietnamese person taller than I am!) , fatter, less tanned and travel in groups (the cameras also gave us away!). The delays meant that we are now a day behind schedule, resting at Ca Mau instead of Long Xuyen.